Feather Pendant Gold-tone charm with 5 mm jump ring. This is the gold-tone version that has a sterling silver base lightly plated with gold. The gold wash can rub off over time with exposure to moisture and sweat, leaving it silver in color. 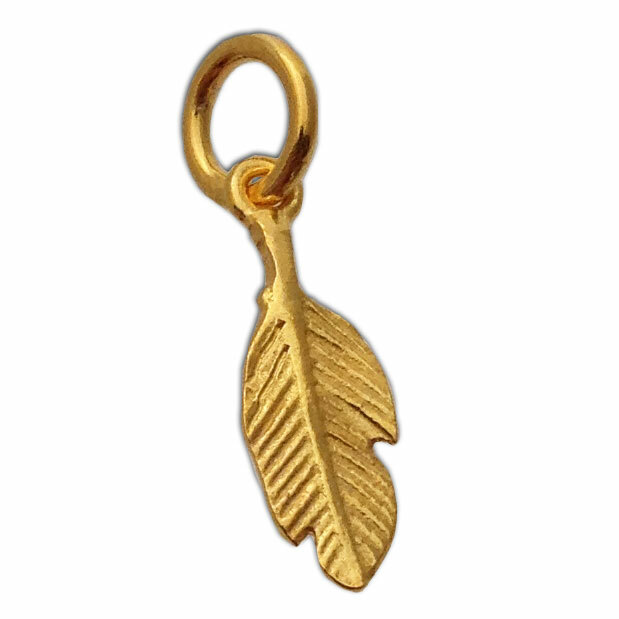 The feather assists you in finding direction and guidance.